Customer Testimonials are a testament to our customer care, integrity and compassion we put into every project. We strive for Complete Customer Satisfaction! This can only be accomplished because we know how important service to the customer is. “Integrity is what you do when no one is looking.” We do not expect the client to watch us every step of the way. 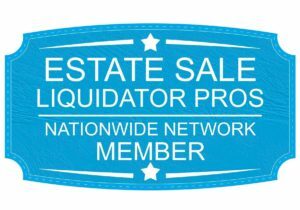 We have the integrity to complete your estate sale, down sizing or home cleanout professionally and on time. We do not take shortcuts and our customer testimonials are evidence of this philosophy we have built Graceful Changes Estate Sales and Cleanouts upon. Lori Weaver and her Graceful Changes team ROCK! She and her team handled the daunting task of cleaning out a house that had been occupied for over 37 years and which contained SO MUCH STUFF! It was completed in a short period of time meeting our time crunch and with more empathy, compassion, and support than we ever expected. She and her team went through endless piles in every room of the house to find what was saleable, cleaned out what wasn’t, held the estate sale and then deep cleaned the house so that it was ready to hand over to the realtor. AMAZING!! I truly don’t think we could’ve done this without her. I highly recommend this business to everyone! I’m always amazed at the quality of Estates that Graceful Changes handles. They’ve got a solid team that does a great job of marketing remarkable merchandise! Thanks to Lori and her efficient crew, my aunts house is empty, cleaned, and ready for the new owners. Lori was a life saver and took on my burdens and worries. In less than a week, it was done. We hired Lori Weaver/Graceful Changes in 2014 to assist us with the clean out of our family member’s home. Lori and her staff sold items of value (including a lot of fishing gear), recycled and donated other items before disposing of tons of trash and debris. They moved heavy things, disposed of household chemicals, dealt with some really unsavory messes, rodents and some scary looking spiders. We live out of state and could not be there to oversee the progress of the job so her services were of great value to us. She took care of everything in an efficient, professional and dedicated manner and we greatly appreciate her efforts. We definitely recommend Graceful Changes and Lori Weaver to take care of your estate sale and home clean out needs. My Mom and I cannot thank you enough for what you did for us. We were overwhelmed at the thought of holding our own sale, organizing and putting things out, promoting it, managing parking, selling and moving things out. And, that’s not even mentioning the emotional issues that surround divesting yourself of “treasures”. You handled everything PERFECTLY!! You’ve got the right mix of patient hand holder (and might I add counselor), advisor/coach/cheerleader, price negotiator and friendly sales person. I don’t know how you do it, all while staying up and energetic. I hope many other folks have the blessing of your guiding hand when they need help.